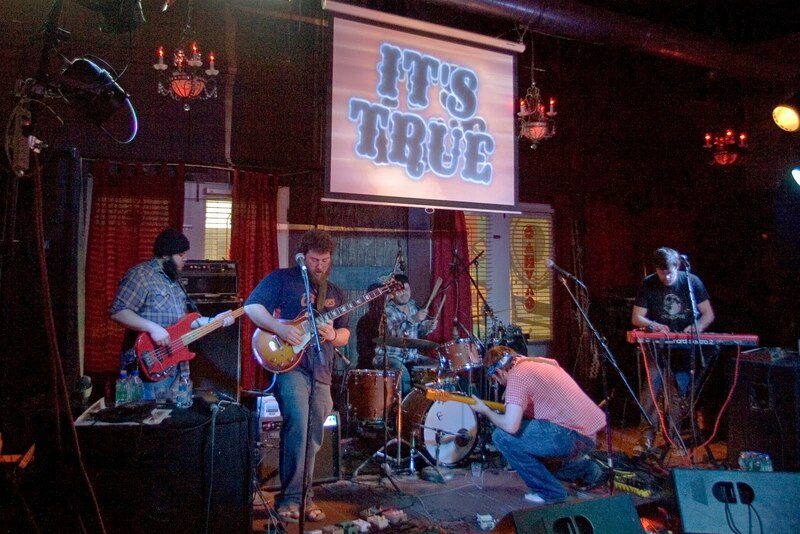 Omaha's indie darlings, It's True, return to performing tonight with a special show at Waiting Room. The band broke up last year after its performance at the MAHA Music Festival (where they performed along with Spoon, Superchunk, Old 97s and more), but it has now re-emerged with an altered line-up and a new album. The album, Another Afterlife, will be released at the show. Performing along with It's True are The Haunted Windchimes, Noah's Ark Was A Spaceship, and Cowboy Indian Bear. Tickets are $8 at the door. I have written a lot on It's True in the past, and everything I said then still applies. They are pretty much the best Omaha band to emerge in many years. However, It's True's status as a working band is still in question. In an interview with the Worlds of Wayne podcast, band leader Adam Hawkins made it clear that his main focus is not the band. Still, we have tonight. Enjoy it while you can.